Both David and Tala were great. Very detailed and professional. They gave great service and spent time with me to make sure we were looking for the right things. Everyone was friendly and helpful. 5 STARS all around. I loved their service.From my first service needed - I am visiting the same service center. This is my third visit. Jimmy always recommends the appropriate maintenance for our high mileage CRV. He remembered us from a previous visit and the discussion we had about what services we were interested in having done. Tala was awesome and a pleasure to work with! I will definitely be back! I was in and out and I got a car wash! Very pleased with the buying experience. Did not get hassled but was allowed to make my decision and get the price I wanted. Would definitely recommend. 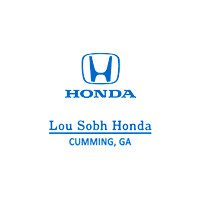 Lou Sobh, and particularly Jimmy V the sales agent, were exceptional in the trade-in of my existing lease and our new 2019 Honda Odyssey. I can honestly say that this was the best car buying experience I have had. I was treated fairly and didnt feel the need to haggle with the sales associate. The financing process was very efficient and thorough. I really like the service department at Lou Sobh Honda, especially Mr. Tala Sar. I only have to tell him once what I want and dont want serviced on my vehicle. He keeps me informed with any unexpected repairs and lets me know what can and cannot wait until the next service.